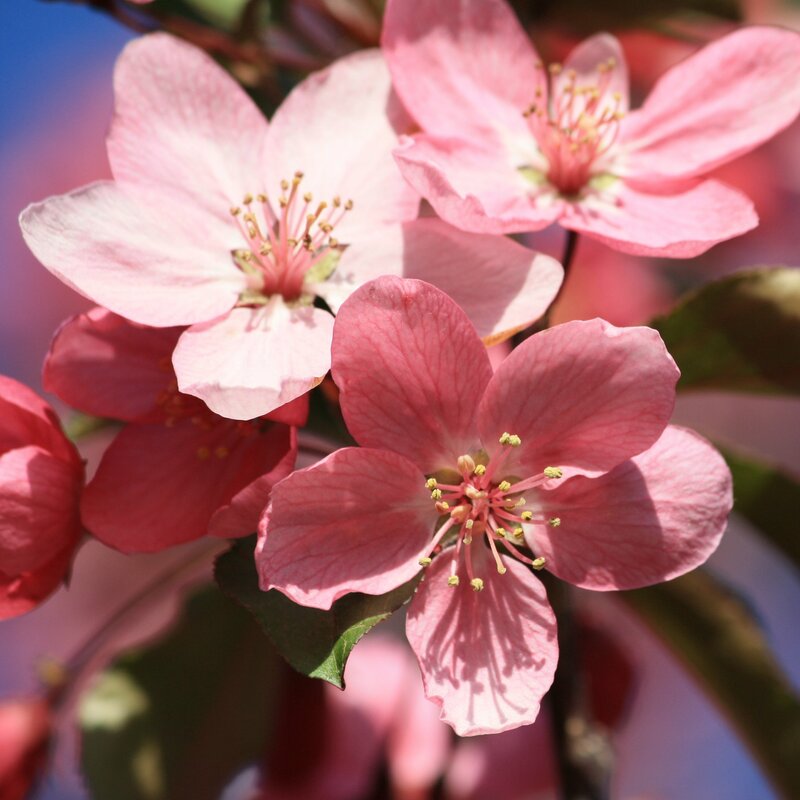 Free high resolution close up photo of pink crabapple blossoms. This picture was taken in the early spring when the crabapple trees were in full bloom. You can clearly see the petals of the flowers and even the veins in the petals. In the background you can see bits of green leaves and blue sky. Free picture for any use.